You know those days when nothing goes quite right, and all you need is a fresh baked chocolate chip cookie to turn it all around? – But because you don’t feel like baking cookies from scratch, you resort to eating the uncooked dough? (Or is that just me? … don’t answer that) Enter Hot Box Cookies, and all is magically right in the world! Red awning on Mass Street - hard to miss. Simple interior: seating, and the cookie bar. 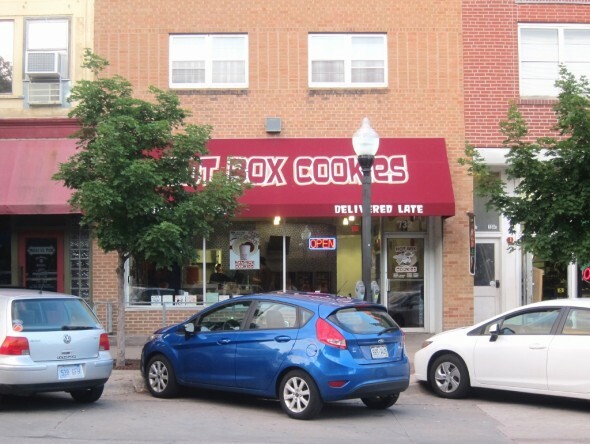 Hot Box Cookies is focused on fresh baked cookies, made-to-order and prepared to deliver. 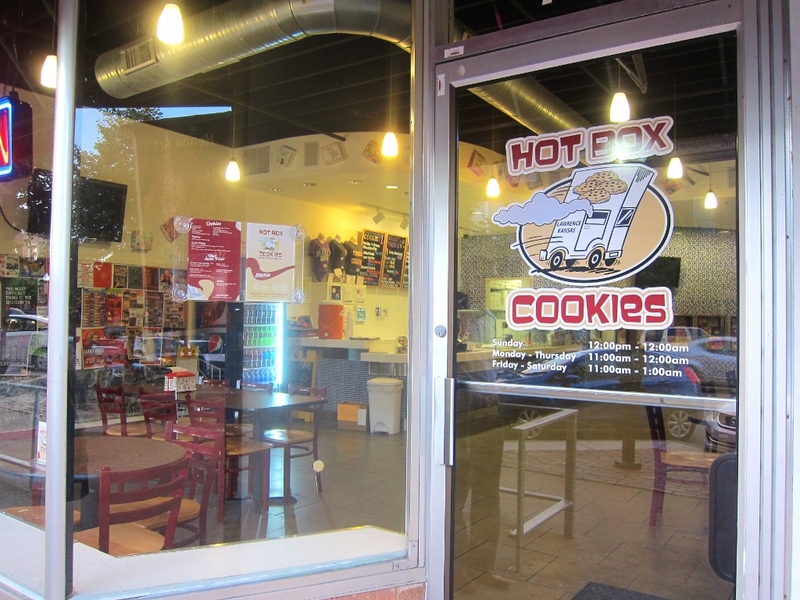 While it’s an undoubtedly clever business model, I wasn’t so sure we would really visit Hot Box Cookies that often. Am I going to go out of my way to get a fresh baked cookie, really? Turns out, the answer to that question is a resounding YES. At a buck per cookie, it’s a pretty sweet deal (pun intended). But in case you’re not in the mood to jump off your keister for some warm treats, Hot Box delivers! All across Lawrence, too. So sit tight and that sweet tooth will be appeased in no time. $1 a piece, but good luck getting just one. 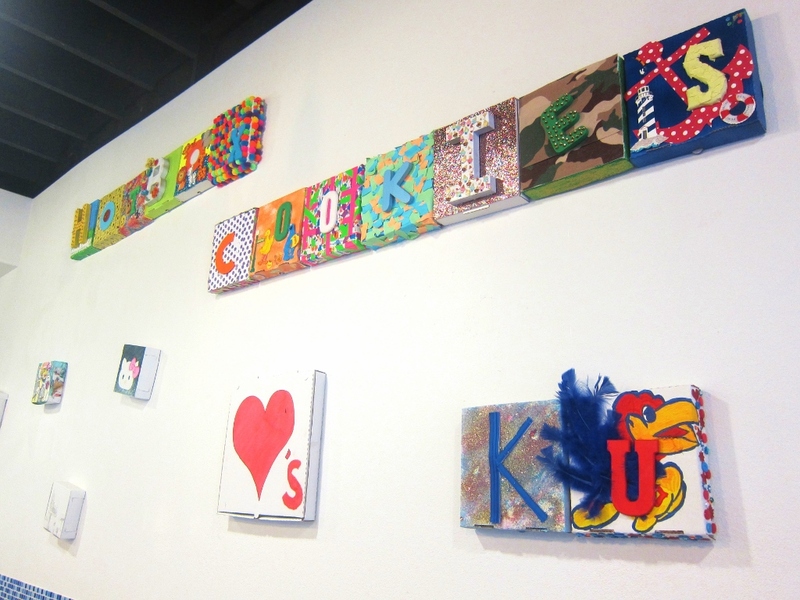 Hot Box Cookies Loves KU! It’s worth noting that the menu does not disappoint. 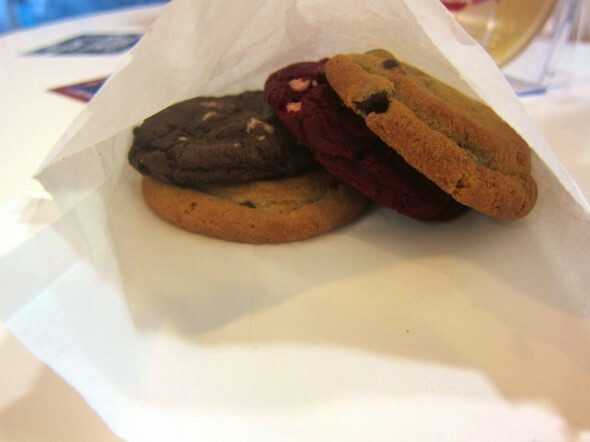 The all-start line-up includes: chocolate chip, M&M, red velvet, oatmeal raisin, peanut butter, snickerdoodle, and monster, to name just a few. My favorites are the peanut butter reese’s pieces (genius, right? ), and cookies ‘n’ crème (described as a cookie within a cookie, filled with semisweet chocolate chips, white chocolate chips, and Oreo cookie pieces). Need a minute to clean up that drool creeping down your chin? If you love a good cookie, but want a twist on the classic try the icing sandwich (yes, icing!). This unique treat is made with two cookies smashed together with icing filling. 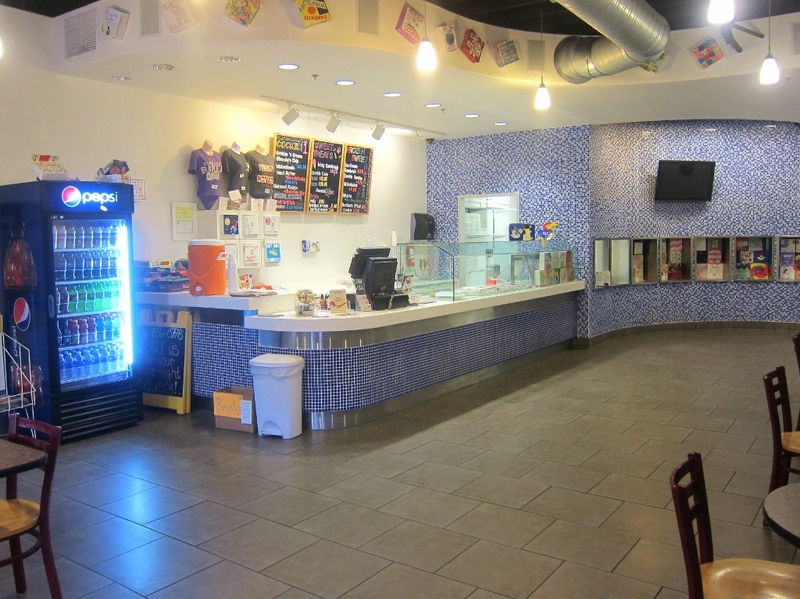 Hot Box also offers ice cream sandwiches, brownies, brownie sundaes, shakes, cookie cakes, and frozen cookie dough for making later. As you can tell, there’s no shortage of the sweet stuff here. Hot Box is fantastically convenient, open until midnight most days (1am on Fridays and Saturdays), and probably one of the cheaper dessert options in town. For all of these reasons, our visits here have grown more and more frequent. It’s a great option for an after dinner treat, birthday in the park, or sweet surprise for you crush (who wouldn’t love a surprise cookie?). 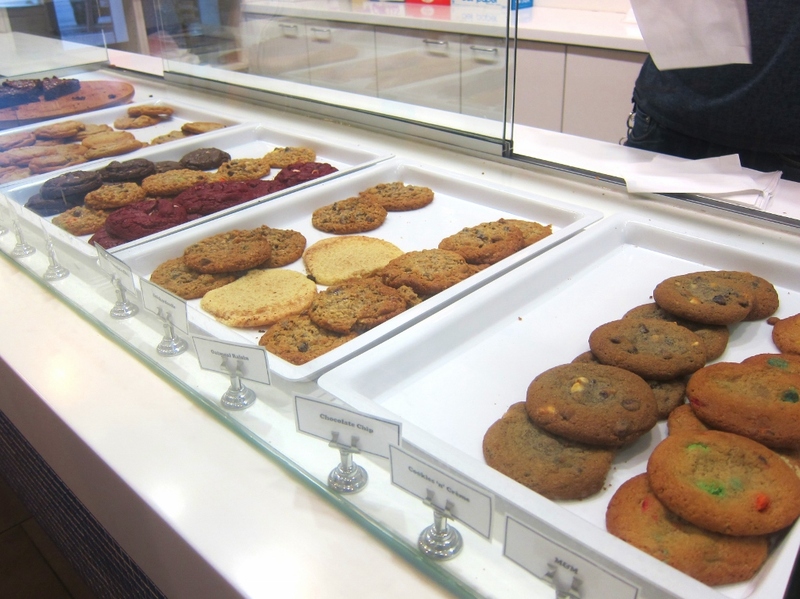 So no need to wait for a bad day to treat yourself; stop in and make any day just a little bit sweeter. This entry was posted on Sunday, June 22nd, 2014 at 5:00 pm. It is filed under Restaurants and tagged with celebration, cookies, date, dessert, downtown living. You can follow any responses to this entry through the RSS 2.0 feed.